More Father's Day goodies for you! 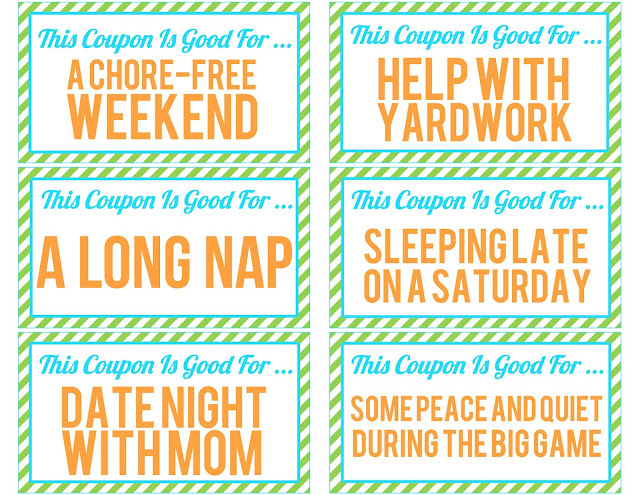 Here's a set of coupons for the Dad in your life to redeem. I know these are things my husband would appreciate, and I hope the same goes for yours. Just click on the image above to download. Cut out, punch a hole in each coupon, the join together with a ribbon or binder ring.